Harold A. Ricards Jr., Engr '39, writes: "I enjoyed watching the Hopkins lacrosse team beat Princeton in spring 2005. I watched the game with other Houston alumni club members." William B. Freedman, A&S '40, Med '50, is enjoying his 18th year of retirement after 33 years as an internist with Kaiser group in the San Francisco area. He continues to lead wildlife hikes. Lily L. Pinneo, Nurs '45, who is retired, lives with her sister, Rose Pinneo, Nurs '46, in Florida. Mary Ellen Avery, Med '52, physician in chief emerita at Children's Hospital Boston, received an honorary doctor of science degree from Harvard University. She received the National Medal of Science in 1991 for her discovery of the cause of respiratory distress syndrome in premature infants and in devising a strategy to prevent and treat the ailment. Robert B. Rutherford, A&S '52, Med '56, writes: "The sixth edition of Rutherford's Vascular Surgery (with Web version) was published this year along with the companion review book, Review of Vascular Surgery." Richard Rose, A&S '53, has been awarded an honorary doctorate by the University of Orebro, Sweden, for his work in comparative politics and public policy. John L. Lumley, Engr '54 (MS), '57 (PhD), received his second honorary degree in October 2004, the most recent one from the University de Poitiers in France. Wendell A. Smith, A&S '54, a real estate partner in the law firm of Greenbaum, Rowe, Smith & Davis LLP, was a presenter at the Atlantic Builders Convention held in Atlantic City in April, at a seminar on risk management. Harvey J. Sugerman, A&S '59, is emeritus professor of surgery at Virginia Commonwealth University, president of the American Society for Bariatric Surgery, and editor-in- chief of Surgery for Obesity and Related Diseases. 1961 Joshua B. Grossman, A&S '61, writes: "I am preparing a book regarding my wonderful years at Homewood Campus 1957-1961 and invite all of my classmates to e-mail me at zjbg2@imail.etsu.edu — Go Blue Jays!" David V. Anderson, A&S '63, writes: "After a career as a research physicist, I'm now an educational entrepreneur — attempting to develop franchised private schools based on distance learning technologies and self- pacing." Edmund G. Henneke II, Engr '63, '66 (MS), '68 (PhD), associate dean for research and graduate studies in the College of Engineering at Virginia Tech, received the Award for Innovation in Nondestructive Testing Research at the American Society for Nondestructive Testing's 14th Annual Research Symposium in Albuquerque, New Mexico. James McCord, A&S '63 (MA), '68 (PhD), history professor at the College of William & Mary, has been presented with the school's Thomas Jefferson Award, which recognizes his commitment to teaching and his outstanding contributions to the community. John V. Murphy, Engr '64, is a divorce attorney who organizes marriage therapy workshops based on his experiences as a lawyer. David L. Epstein, A&S '65, Med '68, is completing his 13th year as professor and chairman of the Department of Ophthalmology at Duke University School of Medicine. He writes: "I just moved into the new Albert Eye Research Institute. My wife, Susan, Nurs '67, is an attorney with Legal Services of North Carolina. My son, Michael, is assistant professor of genetics at Emory School of Medicine." Margaret Huff Leiendecker, Nurs '65, writes: "I have retired, and life is sweet! Who knows what I'll do in the future, but now I'm spending time with friends and family." Patrick Brookhouser, Med '66, director of Boys Town National Research Hospital, has been elected to the Johns Hopkins University Society of Scholars. Brookhouser is internationally known for developing ways to quickly detect hearing loss in infants and to discover what causes children to lose their hearing. John C. Pollock, SAIS '67 (PhD), professor at the College of New Jersey, has recently won a first-ever award from the United Nations for his work in researching the global media coverage of the UN's efforts to fight AIDS. W. Bruce Fye, A&S '68, Med '72, Med '78 (MA), has been elected to the Johns Hopkins University Society of Scholars. A professor of medicine and medical history at the Mayo Clinic, Fye is a past president of the American College of Cardiology. Betty N. Bonas, Nurs '69, is working in utilization review at United Healthcare. She writes: "My daughter, Dana, married Derek Davis in a beautiful ceremony at Duke Chapel in Durham, North Carolina, on November 13." Frank T. Cimino Jr., Peab '69, founder and artistic director of the Maryland State Boychoir, has toured with his choristers throughout Ireland and Wales during the past year. His ensemble also has performed the D.C. premiere of John Rutter's Mass of the Children in October, Howard Shore's Fellowship of the Ring symphony with the Baltimore Symphony Orchestra, and the premiere of Glenn Burleigh's The Dreamer at the Kennedy Center. Michael Flusche, A&S '69 (MA), '73 (PhD), associate vice chancellor for academic affairs at Syracuse University, was honored as "Man of the Year" by the Leukemia & Lymphoma Society on May 19. Flusche raised the top figure among all the men competing to raise money for LLS during the six- week campaign. Frederick J. Hanna, SPSBE '69, who lives in Baltimore, writes: "Simplify! I gave up my car in December — no driving. I tore up my credit cards years ago. I'm doing a little writing and a lot of reading, and I love the glorious sunsets in the Western skies over the Hopkins campus, of which I have a fantastic view from my eighth- floor balcony." Robert H. Fisher, Engr '70, is the CFO of Woodhead Industries in the electrical and industrial connectivity markets. His oldest son graduated from Hopkins in 2004, and his middle son is a freshman on the soccer team. He writes: "One more to go!" Daria M. dePierre-Hollowell, Bol '72, SAIS '73, currently directs the Catholic Charities Diocese of San Diego's six immigrant services offices and is an adjunct professor of international relations and theology at the University of San Diego. John S. Birdsall, A&S '74 (MA), SAIS '81, is deputy sales manager of Wachovia Bank's emerging market bond team in New York. He recently invited Professor Riordan Roett to give a lecture on Latin American politics to Wachovia Bank's emerging market customers. Henrietta Bishop Hubbard, SPH '74, has been inducted as a fellow in the American Academy of Nursing for her outstanding and broad contributions to health care and her continuing influence on nursing practice and health policy. She is acting associate center director and senior adviser for nursing at the Agency for Healthcare Research and Quality. A. Roger Ekirch, A&S '74 (MA), '78 (PhD), professor of history in the College of Liberal Arts and Human Sciences at Virginia Tech, has published a book on how we survived in the centuries before electric lighting. Based on 20 years of detailed archival research, At Day's Close: Night in Times Past (W.W. Norton, 2005) is an enthralling, compelling study of the darker side of human history. Jon Nowick, A&S '74, SAIS '75, leads a team at the U.S. Department of Homeland Security applying innovative approaches to analyzing terrorist threats to our country and the effectiveness of counter-measures. The Washington Post featured his program as an example of the government "employing imagination." Jon is married and lives in Bethesda, Maryland. Claudia L. Thomas, Med '75, writes: "After a 12-year stint in academic medicine with Johns Hopkins orthopaedics, I recently joined a private practice in central Florida. I am now working with two of my mentees. It's wonderful! I still return to Hopkins quarterly to lecture, and I hold a part- time faculty position." Carol R. Batoff, SPSBE '76 (MA), writes: "Our son, Jeremy, will begin his studies at JHU in the fall as a member of the class of 2009. He will join his brother, Justin, who is a member of the class of 2007. Robert J. Moses, A&S '76, is living in Concord, New Hampshire, with his wife and two children. He can be reached at rjconnect2@comcast.net. James E. Willis Jr., Engr '76, is semi-retired and working as a consultant to NASA at Kennedy Space Center in Florida. He is responsible for electrical and electronic controls in clean room facilities used to process the international space station and other spacecraft. Thomas R. Taylor, A&S '77 (MA), has been named vice president for marketing, communications, and enrollment management at Ball State University. Craig Peters, A&S '78, Med '81, professor of urology at Harvard Medical School, has been elected to the Johns Hopkins University Society of Scholars. An internationally known and respected clinician and investigator in pediatric urology, Peters is recognized as one of the world's experts in pediatric laparoscopy and minimally invasive surgery in children. Steven F. Rubin, A&S '78, chairman of the Physician Advisory Board of the University of Medicine and Dentistry School of Osteopathic Medicine and associate professor at numerous osteopathic medical schools, was elected vice president 2005-2006 of the American College of Osteopathic family physicians in March. He also was one of 25 physicians nationally to receive the inaugural Distinguished Fellow Award. C. Lee Friant, Engr '79, '82 (MA), '85 (PhD), writes: "My daughter, Amanda Friant, class of 2007 and third generation JHU, was elected Phi Mu sorority president 2005-06. She was also nominated as student worker of the year by the Homewood Alumni Administration." 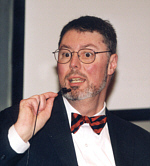 Barry W. Thomas, SPSBE '79 (MA), retired from Baltimore County Public Schools after 31 years of teaching and administration. On January 24, he became the Dean of Strayer University's Owings Mill campus. John W. Brooks, Peab '80 (MM), writes: "I am now director of music at Christ Church Parish (Episcopal) in Kensington, Maryland. I direct three choirs, am initiating a concert and Evensong series, and instituting a serious choir- training curriculum for children. It's good to be back in the metro D.C. area with its array of cultural and musical pursuits." Peggy Lacey Craig, Peab '80 (MM), and her husband, The Rev. Richard B. Craig, lost their 22-year-old son and only child, T.J., who died on June 8 at Doctor's Hospital in Lanham, Maryland, after five days on life support. Since their son loved children so much, they have requested that any donations be sent in his memory to Children's Hospital in Washington, D.C.
Lynn Daggett, A&S '80, has been promoted to full professor at Gonzaga University Law School. She is the fourth woman to be promoted to full professor since the law school was founded in 1912. Daggett is also a frequent writer and speaker on education law issues. Josiah Gluck, A&S '81, writes: "The past few months have been rather busy. I'm winding down my 13th season at Saturday Night Live (yes — I survived Ashlee Simpson), and I'm now chief music mixer for Last Call With Carson Daly, also on NBC. I just spent two solid weeks out in Berkeley, California, recording and mixing a new CD for singer Nnenna Freelon. During our brief time off I managed to spend a lovely afternoon with classmate Gale Berkowitz, A&S '81, and her family, and also met up with Bob Jesse, Engr '81, for dim-sum in San Francisco." Daniel R. Benigni, Engr '82 (MS), '88 (MS), has been named the recipient of the 2005 IEEE Haraden Pratt Award. He is being honored for his sustained leadership on the world's largest technical professional society's major boards and committees. Benigni is a senior analyst at the National Institute of Standards and Technology in Gaithersburg,Maryland. Kevin Smith, Peab '84 (MM), '05 (DMA), has been appointed director of instrumental music for the Lawrenceville School in New Jersey. He received his doctor of musical arts degree from Peabody. In June, on his 45th birthday, Smith converted to Judaism after several years of study, thought, and prayer. He writes: "A singular year, Baruch ha-Shem! Shalom, everyone." Abdullah-Hel Baqui, SPH '85, '91 (PhD), is running community trials on maternal and newborn health in Bangladesh, India, and Nepal. Natalie Kauffman, SPSBE '85 (MA), writes: "Since July 2004, I have been directing the Center for Career & Service Learning at the College of Notre Dame of Maryland. I am also maintaining a limited practice as a career consultant." David Guyer, Med '86, director of Eyetech Pharmaceuticals, has been elected to the Johns Hopkins University Society of Scholars. Guyer established Eyetech Pharmaceuticals, a private company that has collaborative arrangements with large pharmaceutical corporations to develop and commercialize ophthalmic treatments. John Coyne, A&S '87, a partner at 175-lawyer Morristown, New Jersey-based firm McElroy, Deutsch, Mulvaney & Carpenter, LLP, has been honored as one of New Jersey's top 40 attorneys under the age of 40. Tracey Thomas Jacobson, A&S '87, SAIS '88, is a foreign service officer currently serving as U.S. ambassador to Turkmenistan. Previously, she served as deputy chief of mission at the U.S. embassy in Riga, Latvia, and as deputy executive secretary at the National Security Council. Andrew J. Killeen, Engr '87, of Catonsville, Maryland, has been appointed director of energy information for South River Consulting. He will head the firm's energy information systems involved with forecasting, pricing, and analysis as well as new product development and management of SRC's information technology systems. Andrew J. Rubis, A&S '87, and his wife have a son, Isaak. Rubis writes: "He is a bit precocious — our joy and our challenge. My wife works as a registered nurse at the Hospital of the University of Pennsylvania, and I assist homeless youth to find employment at Covenant House." Thomas W. Smith Jr., A&S '87, and his wife, Melanie, have been living in Little Rock since 2000 and have two sons, Hayden and Sullivan. He writes: "We love to travel (Italy, Ireland, Germany, St. Kitts, and Belize in the last couple of years), but especially enjoy our trips to New York City, where we meet up with old D.U. gang, like Marshall Potashner and Steve Cohen." Anne M. Lipton, A&S '88, has published Demencias: Investigación, diagn�stico y tratamiento. Alexis J. Carris, A&S '89, Med '93, writes: "My wife, Michelle (Colder), A&S '87, and I live in Ellicott City with our children, Stephanie and Robert. I practice anesthesiology at Anne Arundel Medical Center in Annapolis. I was recently elected secretary/treasurer of the Maryland Society of Anesthesiologists." Evan Chuck, A&S '89, has joined Bryan Cave LLP, as a partner. His work focuses on international transactions, including acquisitions, mergers, joint ventures, strategic alliances, and outsourcing agreements. John Steven Dyer, SPSBE '89 (MS), is working as the senior organizational development adviser for the CNA Corporation (Center for Naval Analyses) in Alexandria, Virginia. Mark T. Murphy, A&S '89 (MA), '90 (PhD), has joined the Albuquerque, New Mexico, office of Parametrix as senior scientist. He has more than 28 years of experience in environmental and earth sciences, and his professional expertise is focused on rangeland and aquatic ecosystemrestoration in the arid Southwest. James R. Dire, A&S '90 (MA), '98 (PhD), former chair of the physics department at the U.S. Coast Guard Academy, has been named associate provost for schools at Gardner-Webb University, in Boiling Springs, North Carolina. Paul Droms, SPSBE '90 (MS), was recently named director of implementation services and professional development for Achievement Technologies Inc., an educational technology company based in Newton, Massachusetts, and Columbia, Maryland. Quint Kessenich, A&S '90, a member of 1987 NCAA lacrosse championship team, has joined ESPNU exclusively as a commentator for the college sports network. His responsibilities will include working on television's most extensive college lacrosse schedule. Swati Shah, A&S '90, is returning to school part-time for an MPH at Tulane. Unable to attend this year's reunion, she looks forward to her 20th in 2010. Joseph Brinker, A&S '91, is the head of the UN election office in Jalalabad,Afghanistan, where he will manage all aspects of the September Afghan Parliamentary Elections for Nangarhar Province. When not on mission, he still happily calls Washington, D.C., home. Charalambo C. Opsimos, A&S '91, SPH '94 (MA), is completing a pediatric pulmonary fellowship at Winthrop-University Hospital/SUNY in New York. Maria P. Collins, Nurs '92, is working as a psychiatric nurse in Morgantown, West Virginia. She married Jimmy Collins, SPH '98 (PhD), whom she met as a fellow student at JHU. They have two children, Karina and Seth. Adaobi Kanu, A&S '92, is assistant professor of pediatrics in the division of pulmonology at SUNY Stony Brook. She writes: "I am active in bench research pertaining to lung injury." Jianfeng Xu, SPH '92, '97 (DrPH), has been promoted to professor of public health sciences-epidemiology and of cancer biology at Wake Forest University School of Medicine. David Bredt, Med '93, vice president of Integrative Biology for Eli Lilly and Company, has been elected to the Johns Hopkins University Society of Scholars. Bredt is recognized as one of a handful of top molecular neuroscientists in the world. He was a professor at the University of California at San Francisco Medical School before accepting the position at Lilly. Brian Choi, A&S '93, writes: "My wife, Felice, and I have moved to the Fairfax, Virginia, area. I recently completed fellowship training and have taken a job as a neuroradiologist at INOVA Fairfax Hospital. We have one little boy, Alex. Life is good. In my spare time I am attending free agent tryouts for the Washington Wizards and hope to make the team as a reserve point guard." Jennifer L. Hopp, A&S '93, is back in Maryland, working at the University of Maryland Hospital after three years in California. Jim C. Hu, A&S '93, SPH '98 (MPH), writes: "I am finally at the end of my training with the completion of my urologic oncology fellowship, and I will start as a clinical instructor at Harvard Medical School and staff surgeon at Brigham and Women's Hospital and Dana Farber Cancer Institute in the fall. My wife, Connie, and I are excited to move to Boston but also saddened to leave Los Angeles. Hope to see other Hopkins alums in New England." Eddie Tuvin, SPSBE '93 (MBA), first vice president of Community South Bank of Tennessee, testified with Senator John Kerry before the Senate Committee on Small Business and Entrepreneurship on the president's proposed 2006 Small Business Administration budget. Tuvin is a business development officer for the direct lending programs of Community South's Small Business Lending Group as well as co-manager of sales for CSB's national wholesale loan securitization program to other lenders. Stefano Bertozzi, SAIS '94, writes: "After 10 years at the Council of Europe in Strasbourg, I have joined the private office of vice president Franco Frattini at the European Commission in Brussels. My duties include migration, integration, Schengen-related, and asylum issues." David J. Park, A&S '94, is currently a hematology/oncology fellow at the University of Southern California/Norris Cancer Center. He writes: "I have recently been selected for the prestigious American Society of Clinical Oncology (ASCO) Young Investigator Award for 2005. The award consists of $35,000 that will be used toward a research project entitled 'Epidermal growth factor receptor polymorphisms as predictors ofclinical outcome in patients with advanced colorectal cancer treated with platinum-based chemotherapy.'" Paola A. Sansur, A&S '95, married Frangiscos Sitakis, A&S '94, and became chief resident 2005-2006 in inpatient and emergency room psychiatry of the University of Maryland/Sheppard Pratt program. April Bowling, A&S '96, writes: "My husband, Peter Phippen, and I welcomed our second child, Samuel Steven, into the world on March 19 of this year. He joins our daughter, Morgan, who so far seems happy to have him! Kara Zivin Bambauer, A&S '97, visits them both often." Kali Murray, A&S '96, '97 (MA), Michael Hoffheimer, A&S '77, Latoya Redd, A&S '03, and Frank H. Wu, A&S '88, gathered at the University of Mississippi School of Law in March, where Wu, dean of Wayne State University Law School, was delivering the prestigious Matthews Lecture, and where Murray and Hoffheimer are on the faculty. Wu is the author of the book Yellow: Race in America Beyond Black and White. Redd is a second-year law student at Mississippi and chair of the student chapter of the American Constitution Society. Hoffheimer lamented, "The only thing missing was the crab cakes." M. Kathryn Kravetz, Nurs '98, is living in Cambridge, Massachusetts, working in women and children's health after attending nurse-midwife graduate school in San Francisco. She recently enjoyed a visit from three nursing classmates. "Lisa Johnson, who flew in from Seattle, Caitlin McElroy, who drove up from Brooklyn, and Cara Soifer, who recently moved to the Boston area, are all doing well after earning graduate degrees in nursing. They are working in specialty areas of nursing, including emergency psychiatry, epilepsy, and adolescent health." Kerri Blair, Nurs '99, writes: "In July 2004, my husband and I welcomed our firstborn son, William Christopher, to our family." Neil Lobron, SPSBE '99, writes: "I am a senior financial analyst diving headfirst into the auto industry. I am working with the consulting firm of A.T. Kearney helping one of the big three auto firms to improve the way that they buy the things that they need to make cars. Some buying advice for your readers: Buy American as if your retirement plan depends on it." Char R. Miller, A&S '99 (PhD), professor of history at Trinity University, received an honorary doctorate in humane letters in May from Plymouth State University in New Hampshire. Tracey (Hearn) Odachowski, Nurs '99, and her husband, Chris Odachowski, A&S '97, have moved into a new home in Newport News, Virginia. Their second child, Emily Caron, was born on August 2, 2004. She joins big brother, Gabe. Jeremy S. Barnes, Engr '00, is president of Alti, LLC, a Baltimore-based real estate development and management organization. Liberatus A. Derosa, SPSBE '00, '03 (MA), has formed an organization, "Got Ethics" (Guardians of Truth and Ethics in Private Universities), to oversee academic and disciplinary justice in private universities. Kevin P. Eades, Engr '00, is attending Penn State Law School. Charles Hammond Jr., SPSBE '00, who retired several years ago from the surgical operating room at Union Memorial Hospital, is living in south Florida and working at the Colonnade Ambulatory Surgery Center in Bonita Springs, Florida. Katy E. Rouse, A&S '00, married Ryan David on April 2, 2005. Amir R. Eftekhari, SPSBE '01, writes: "I am moving to Nairobi, Kenya, to manage a USAID contract for four years. The project covers 18 countries in Eastern and Central Africa and is a presidential initiative involving trade and investment. I will be deputy chief of party with BearingPoint, Inc."
F. Scott Galt, SAIS '01, has joined Armstrong Teasdale LLP as a member of the firm's litigation department. He will focus mainly on business litigation, and he has an extensive background in international trade law. Jeremy D. Gorelick, A&S '01, SAIS '02, is president of the Munson Diner Corp. and orchestrated the move of the Munson Diner from its location in Manhattan to the Catskills Village of Liberty. Sarah E. DiGioia, SPSBE '02 (MA), recently took a position as autism resource specialist for Alexandria City Public Schools. Anuj Mittal and Joke Aerts, both A&S '02, became engaged in March. They met while attending Hopkins and now live in New York City. The wedding is planned for the spring of 2006. Jennifer Rick, A&S '02 (MS), has joined the Pittsburgh Technology Council as managing director of the council's life sciences network. Her responsibilities involve developing and implementing programs for members and stakeholders within the biomedical, biotechnology, and life sciences community. Brian J. Smigielski, A&S '02, has received his master's degree in physics fromthe University of Washington, Seattle. Presently, he is pursuing his doctorate. Maurita Soltis, SPSBE '02, was married to Timothy Schmitt of Arlington, Virginia, in October 2004. She is a consultant for McDonald Bradley Inc., based in Herndon, Virginia. They reside in Washington, D.C.
Veronica Valdivieso, SPH '02 (MPH), has been selected as one of 15 Luce Scholars for the year 2005-2006 and will live and work in East Asia. The fellowship is funded by the Henry Luce Foundation. In May 2002, she received her joint JD/MPH degree from the Georgetown University Law Center and Johns Hopkins University. After spending a year clerking for a federal Court of Appeals judge in San Juan, Puerto Rico, Valdivieso is now an attorney at Hogan & Hartson LLP, where her health law practice focuses on legislative and Medicaid-related issues. Denice Cora-Bramble, SPSBE '03 (MBA), is the executive director of the Goldberg Center for Community Pediatric Health and associate professor of pediatrics at Children's National Medical Center. The Association of American Medical Colleges has featured work in the areas of minority faculty development and cross cultural pediatric residency merger in their quarterly electronic newsletter, Faculty Vitae. Mahnu Davar, A&S '03, writes: "After recently getting back from my nearly seven months of travel in India on a Fulbright grant, I've been engaged in my work as managing editor of The Subcontinental, a journal that seeks to create a unifiedpolitical voice for South Asian Americans. In the fall I'll be joining the University of Pennsylvania Law School (and hopefully I'll tack on a master's in bioethics while I am there). Sheila-Marie Gilbert, Nurs '03, is working as a pediatric oncology/hematology registered nurse at Children's Medical Center — Dallas in-patient unit. Blanche O. Jones, SPSBE '03, writes: "I will be retiring from the Baltimore City Department of Education in June 2005 after 30 years of service as a special educator." Christopher Mattei, Engr '04 (MA), has just returned from deployment to Iraq with Marine Aircraft Group 16. Aimee Maxted, Nurs '04, writes: "I spent one year in the New Grad Program at the University of Colorado Hospital in the medical intensive care unit, and I am returning to Hopkins to work at JHH and to start my MSN at the School of Nursing. I am looking forward to being back. Jessica Noyes, Nurs '04, is "enjoying life as an emergency room nurse at Howard County General Hospital." Michael D. Pearson, A&S '04 (MA), is a medical student at Drexel University College of Medicine in Philadelphia. 1928: Lester Laudy Coleman, A&S '28, died on November 11. He was attending physician at Manhattan Eye and Ear and New York hospitals, a diplomat of the American Board of Otolaryngology, a fellow of the American Triological Society, and past vice president of the American Academy of Psychosomatic Medicine. He is survived by his wife, two daughters, and a granddaughter. 1933: John Bonner Buck, A&S '33, '36 (PhD), who achieved preeminence as a biologist for his studies in bioluminescence, died on March 30. He was one of the earliest to theorize about the evolutionary and adaptive significance of bioluminescence, including marine bioluminescence and synchrony. 1933: George W. Schucker, Engr '33, who spent a 37-year career in the Baltimore City Health Department and retired as an assistant commissioner, died January 30. He was instrumental in helping battle lead-paint poisoning and air pollution while initiating a strategy to control a growing rat population. 1936: Hilbert S. Sabin, Med '36, a retired urologist who had a private practice in Washington before becoming assistant chief of surgery for the Veterans Administration, died on December 28, 2004. He was a member of the Chevy Chase Club, the Metropolitan Club, and the board of St. John's Community Services in Washington. 1946: A. Elizabeth Hartje, SPSBE '46, a retired Baltimore schools principal, died in February. Hartje, who retired 30 years ago, received two gold medals in the Maryland Senior Olympics for the one-mile walk. She also helped at the local treasure sale and met with the Sew and Sews, a sewing club. 1948: Mohammed Abu Naser, Engr '48 (MS), who became the vice chancellor of the Bangladesh University of Engineering and Technology in 1970, has died. 1956: Elizabeth M. Edmands, SPH '56, of Chapel Hill, North Carolina, died on March 21. 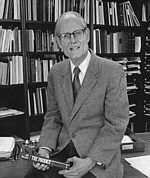 Edmands was on the faculty at Johns Hopkins from 1958 to 1967. She held joint appointments in the departments of Public Health Nursing and Maternal and Child Health at the University of North Carolina School of Public Health. 1959: J. Richard Butler, SAIS '59, a former executive director of Church World Service, an international relief and development agency, died January 24. 1963: Dorothy W. Diehl, SPSBE '63, a retired Curtis Bay Elementary School vice principal and teacher, died in January. She enjoyed quilting and reading and is survived by a son, daughter, four grandchildren, and three great- grandchildren. 1965: John A. Sweeney, Peab '65 (MM), a music teacher who was on the faculty of Morgan State University for more than three decades, died in February. Sweeney played at the Morgan Christian Center and was organist for several area churches, including Union Baptist Church in West Baltimore. 1969: Jack L. Chalker, A&S '69 (MLA), who wrote more than 60 science-fiction and fantasy novels and was one of Maryland's most prolific authors, died in February. He won numerous awards for his writing. He is survived by his wife and two sons. 1976: Thomas M. Jacklin, A&S '76 (MA), '81 (PhD), died on April 28. Recognizing outstanding service to Johns Hopkins University. Pediatric neurologist Arnie Gale, Med '76, was the director of postgraduate training at George Washington University School of Medicine and, more recently, a member of the clinical staff at Stanford University. Gale has served on the Johns Hopkins Alumni Council and co-chaired his 25th reunion committee. He is currently the 1976 class representative. Since she was appointed director of public information in 1980, Anne Garside has been devoted to promoting Peabody. She founded The Johns Hopkins Peabody News, which, supported by advertising, has grown into the musical newspaper for the greater Baltimore/Washington community, with a circulation of close to 30,000. Julian C. Stanley Jr. came to Johns Hopkins in 1967 as a professor of education and psychology. He began identifying a select group of exceptionally bright adolescents and helped them to accelerate. His efforts evolved into Johns Hopkins' Center for Talented Youth, the most extensive talent search and academic program for gifted students in the country. Stanley passed away on August 12, at age 87. Recognizing personal, professional, or humanitarian achievement. 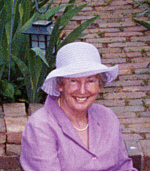 Sally Sample, Nurs '54, was a pioneer in the evolution of the joint-appointment clinical nurse specialist role, the creation of the Center for Nursing collaborative model, and the initiation of a Vermont statewide continuing education effort for nurses. Now retired, she was recently named a "Living Legend" by the American Academy of Nursing. Peter Agre, Med '74, was awarded the 2003 Nobel Prize in Chemistry by the Royal Swedish Academy of Sciences for his laboratory's 1991 discovery of the long-sought "channels" that regulate and facilitate water molecule transport through cell membranes. Agre was a professor in the department of biological chemistry from 1993 to 2005.